Here at Janus International, we love to talk to the movers and shakers in the self-storage industry! 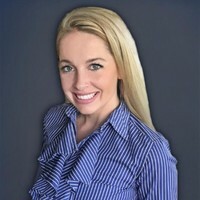 That’s why we recently sat down with Theresa Gallas, co-founder and President of List Self Storage, a leading online platform that connects buyers, sellers and financial resources together in the self-storage marketplace. Our conversation carried us from topic to topic, so buckle up and enjoy! So you’ve spent almost 10 years in the self-storage and real estate industries – can you talk a little bit about some of the changes and trend shifts you’ve seen? The landscape has changed significantly in the past decade and it has been fun to witness along the way. When I started in the industry, yellow pages still had a noticeable role in obtaining leads, auto-dialers were virtually non-existent in collections/operations and online lead aggregators hadn’t fully proven their model yet in the storage sector. People were still learning that they needed a website and could count on other online sources to help generate business they may not otherwise get. Do you have any predictions for what the self-storage industry might look in the next 5 years? I definitely think technology will continue to enhance and create efficiencies in self-storage operations, acquisitions and maintenance. More products and services will be accessible through apps on your smart phone and allow you more control over your business from anywhere. I am excited to see how technology continues to impact our industry. Additionally, I believe that the wave of portable and “valet”-type storage offerings as ancillary services of self-storage facility owners will become more commonplace even in secondary and tertiary markets. People love convenience! Speaking of that, I think my groceries will beat me home before I get there tonight! Curious about incorporating automation into your self-storage facility? Click here to learn more about the SecurGuard® Smart Entry System and mobile app. What advice do you have for anyone entering the self-storage marketing world? Do not be afraid to talk to your potential “competitors” and share what you learn as you research the self-storage industry on both a local and national level. Ask questions of other operators in your ideal market, utilize data services and visit your local planning/zoning offices to ensure that you are not entering an oversupplied market or that it meets your supply/demand criteria. What’s it like engaging with top decision makers within the self-storage industry? Truthfully, this industry is filled with some of the most down-to-earth, humble and friendly individuals that I have ever met. I often consider myself very lucky to have met so many wonderful people and to count many of them as friends. I don’t know how many times I have struck up a conversation about life with someone at an industry-reception and found out later that they owned 50 stores or have over 100 employees or is a reality TV star on the side. People tend to treat you as an equal in this industry no matter your role or story. It’s quite unique. Can you talk a little bit about how List Self Storage connects buyers with sellers? Because all property listings on ListSelfStorage.com have to be represented by a real estate professional, the buyers have the opportunity to ask questions, sign NDAs and receive financials through the broker or agent representing the asset on our site. The seller works with their representative to filter the offers and make a decision that best fits their needs and exit strategy. You’re a woman powerhouse in a largely male-dominated industry! Can you speak to some of your experiences in this arena, and do you have any advice for other women looking to make impacts in similar industries? I am flattered that you say that, thank you! My humble advice is that you never take the word “persistent” as a negative connotation. Set financial, professional and personal goals and outline your plans to achieve such. Check in with yourself frequently to make sure you are on the path you set for yourself. Like I said earlier, do not be afraid to ask questions of others, especially other women in your industry. The women in the storage industry build each other up, offer support and advice and are a great resource for anyone. Want to get in touch with Janus International? Click the button below!